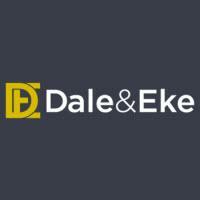 Dale & Eke is a law firm located in Indianapolis, Indiana. At Dale & Eke we strive to provide exceptional legal counsel, advocacy and support in a variety of practice areas to help you with virtually any legal challenge that may affect your personal or business endeavors. Established in 1978, our law firm has become a trusted source for quality, cost-effective legal representation for 40 years. As a small firm, we are able to provide the personalized attention you need and deserve while still offering the sophisticated legal support necessary to meet your legal needs and resolve your legal matters. Many of our attorneys also have accounting backgrounds and considerable accounting experience. With this background and experience, we are able to address your financial and tax issues effectively and efficiently to assist you in preserving your personal and business assets for future generations. To find out more about what Dale & Eke can do for you, your family and your company, we invite you to contact our law office to schedule an initial consultation.